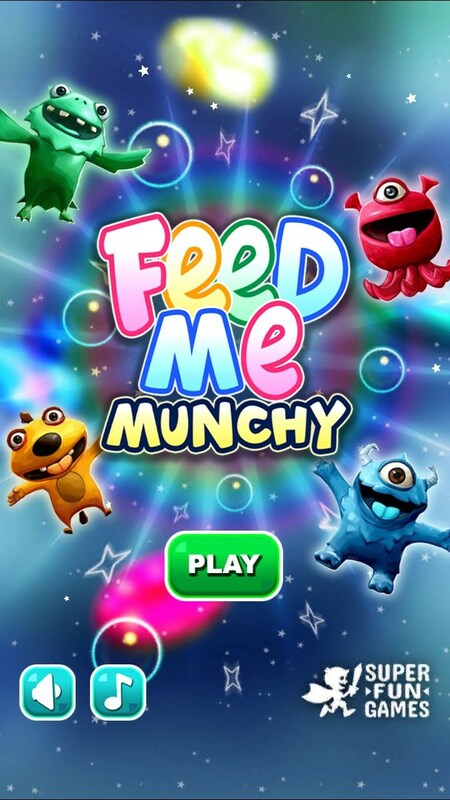 Feed Me Munchy – Games for Android 2018. 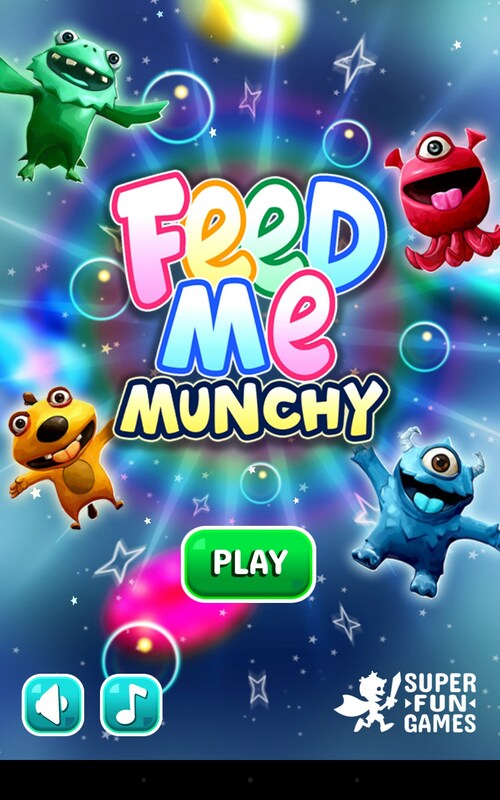 Feed Me Munchy – Exciting arcade about aliens and sweets. 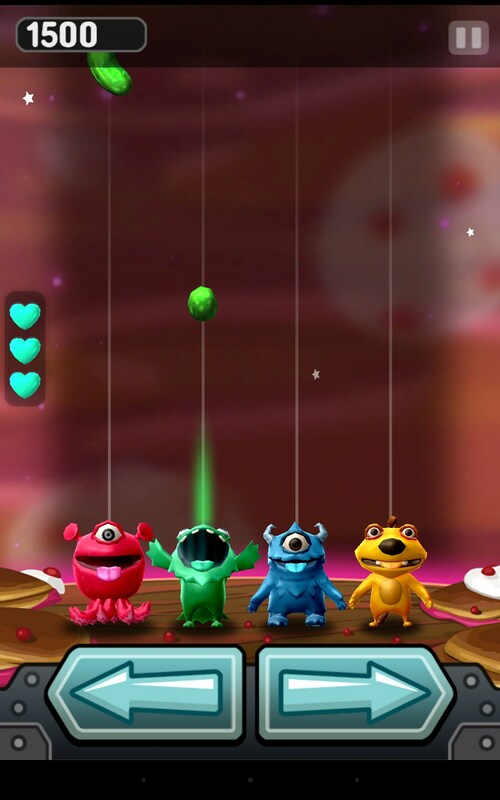 Feed Me Munchy is an arcade game for Android that tells you about the world where aliens who have a sweet tooth live. 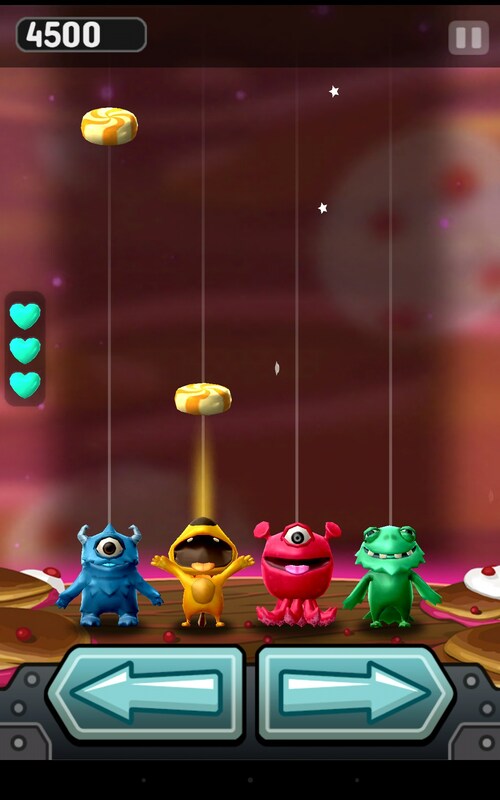 They fancy sweets so much that they created their own candy idol that they worship. 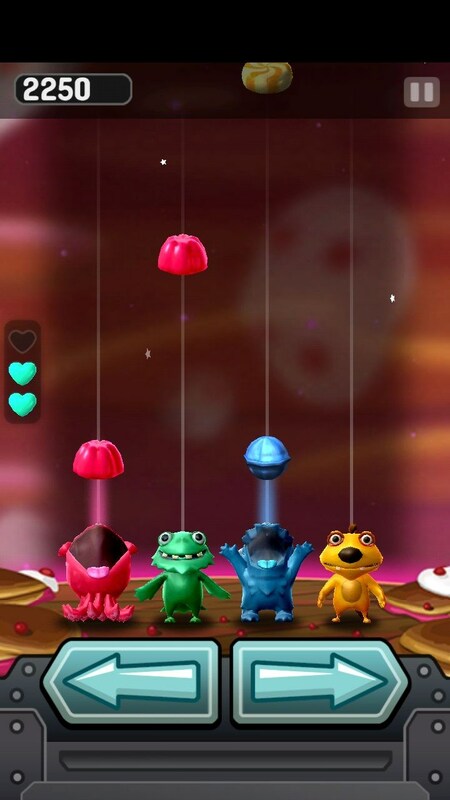 However, one day an evil alien came to their planet and stole the big candy. 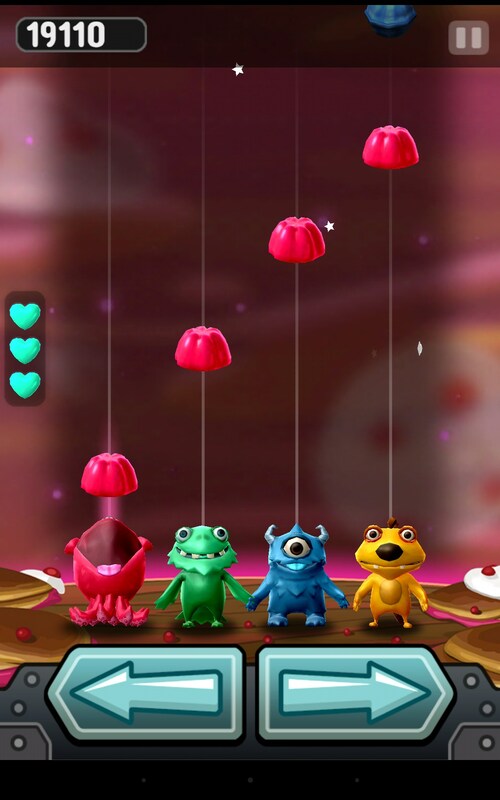 You will need to set out on a sweet journey together with these aliens and try to get the idol back by eating lots of sweets. 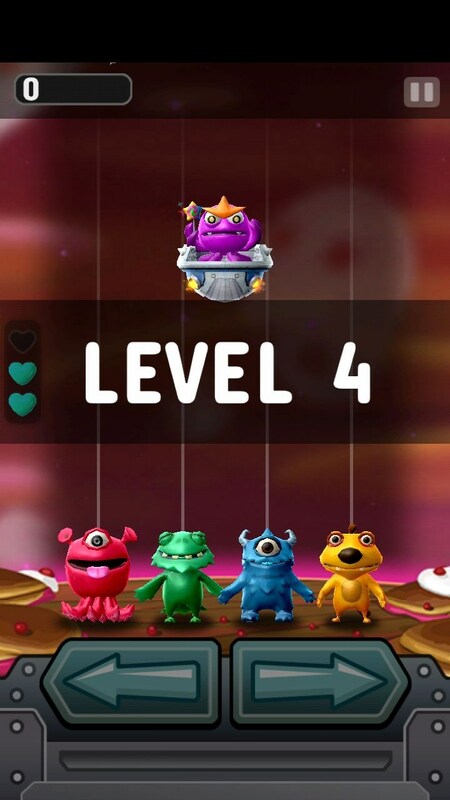 Every level will consist of four aliens of various colors standing at the bottom of the screen. 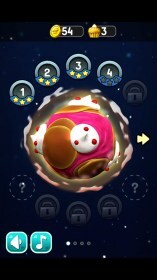 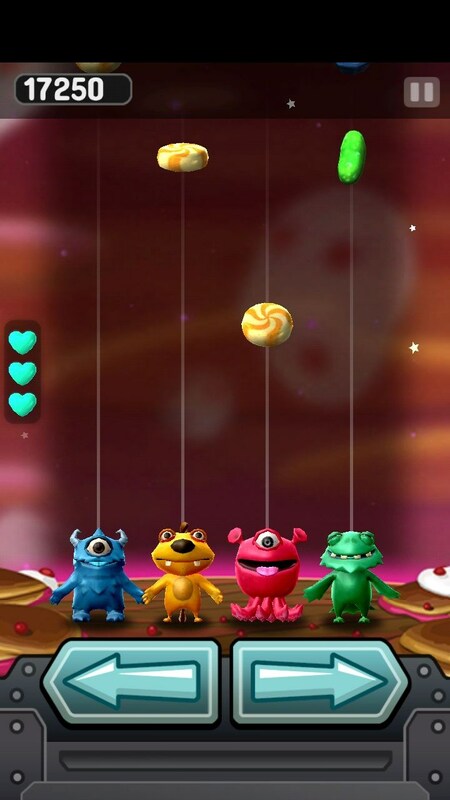 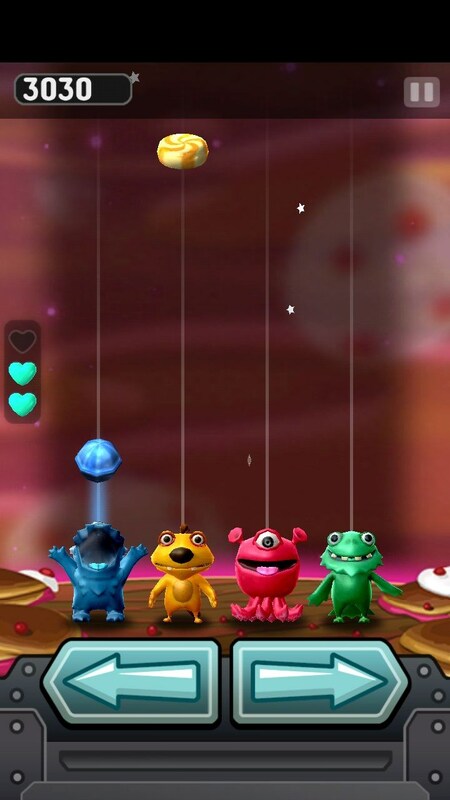 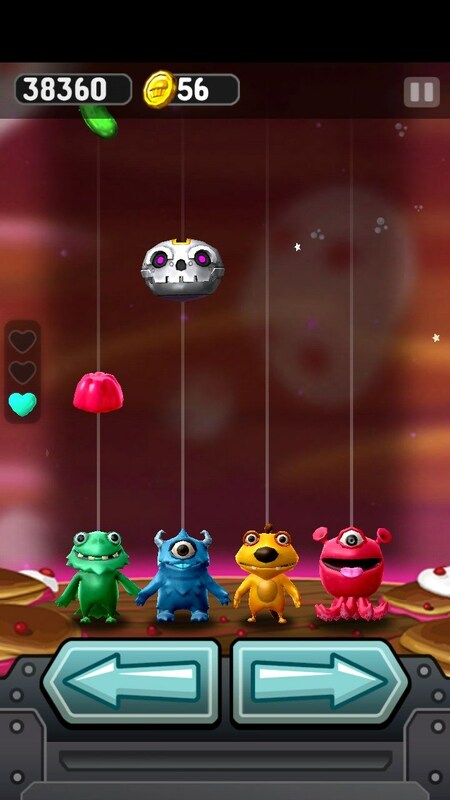 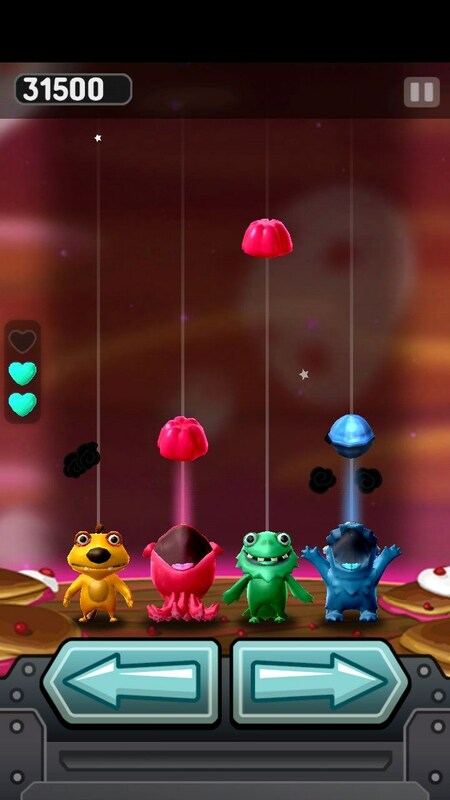 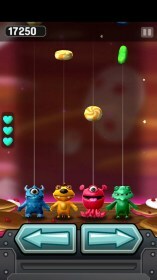 By using the on-screen left and right buttons you will need to move the aliens so that the color of the sweets that are slowly falling down is matched with that of the alien. 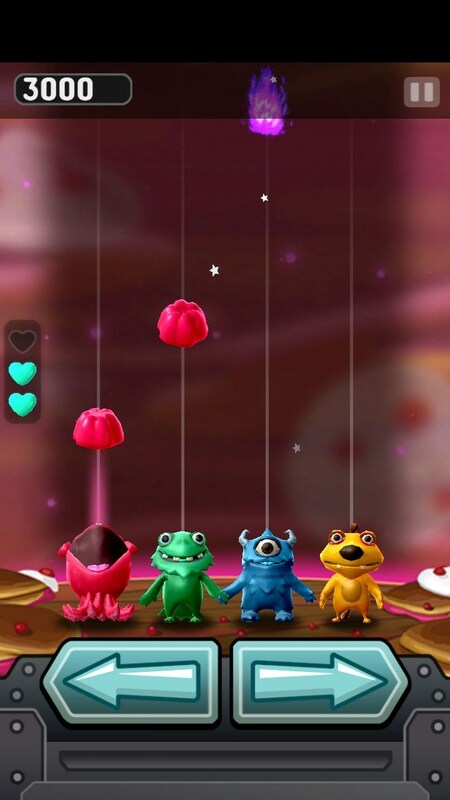 You will have three lives and as soon as you eat a wrong candy, you will lost one live. 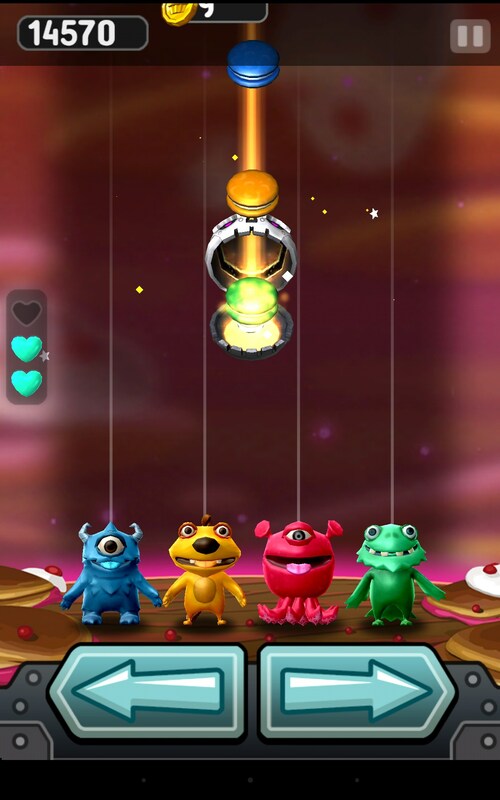 Also, special sweets and perks as well as bosses will be appearing on the playfield now and then. 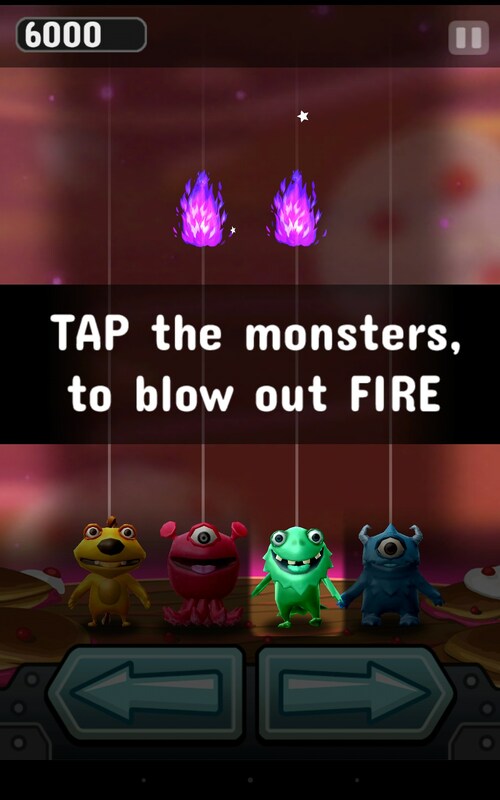 Just shoot at them by tapping the screen and they will disappear. 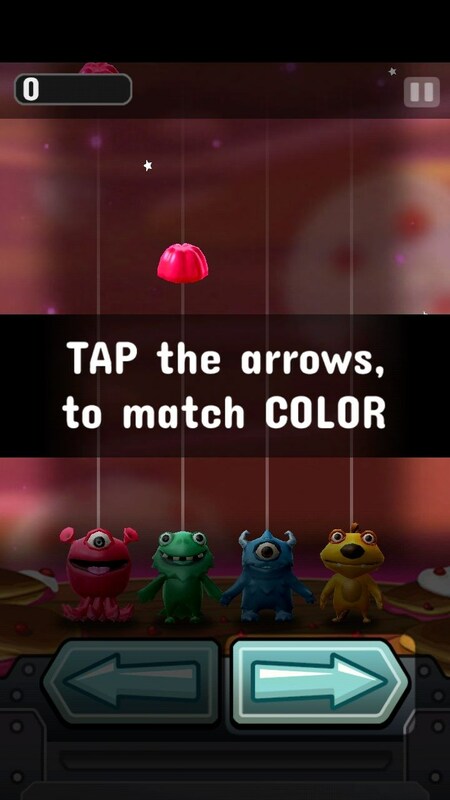 Feed Me Munchy is a nice arcade game for Android that has decent 3D graphics and simple controls. 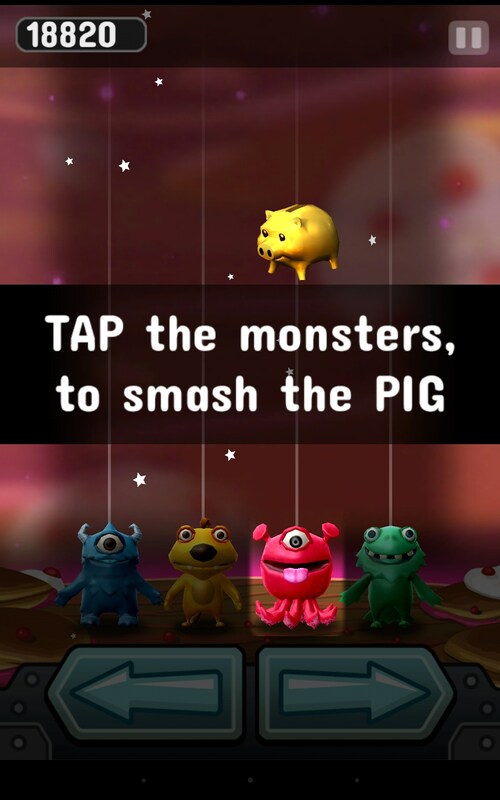 It’s distributed for free and features almost no built-in ads. 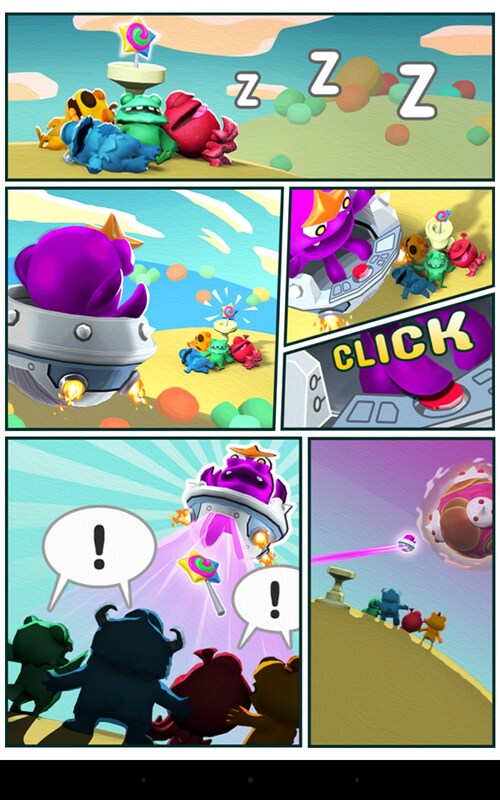 However, we believe that its game play could have been more dynamic.